Nintendo of America's download update had some big-hitters today for Wii U and 3DS, though the press release also outlined some games that we can look forward to in the weeks ahead. While three of these were retail titles and dates we already knew, a couple of Virtual Console games have been outlined — details are below. Both of these titles have already arrived in Europe — Mario Pinball Land (known as Super Mario Ball in Europe) is a quirky Game Boy Advance pinball spin-off that we awarded 7/10 in our review, while Mighty Final Fight is a slightly cute but rock-hard arcade beat 'em up spin-off (NES) that we awarded 8/10 in our review. Are you tempted to pick either of these up in next week's update? Let us know in the comments below. I love the GBA love, but I'm still waiting for Fire Emblem GBA and Zero Mission. Was hoping for Lufia, but I'll live. Argggg where are Fire Emblem, Metroid Zero Mission, Golden Sun: Lost Age, FZero GP and N64/DS VC?!!!! The WiiU is now 2 years old and we haven't stepped into N64 VC yet! What is going on?!! Yeah I'm waiting for the DKC games too. But as much as I like Zero Mission, I hope they release other stuff first or at least in addition to it. I already have Metroid on VC. That week that we only got Super Mario Advance and nothing else while Super Mario 2 was already available was crap. 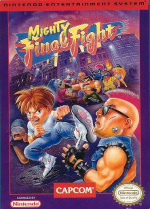 Enter the Mighty Final Fight game page, it says: "27th Nov 2014, $500.00 (USA)" and "27th Nov 2014, £500.00 (UK/EU)". I suppose it is a really great great old game. Although, there's no way I'm paying a Wii U and 3DS consoles price just to get this game. All part of @ogo's79 rare download program. I got excited thinking it was the GBA Final Fight. However the NES version looks very good as well. I didn't realise UK VC already had it. I may DL it. Mario Pinball game. Mario. Super Mario Bros 3. DKC is the new SMB3. So give us DKC. That is all. @ghasfarost I don't understand it either, why don't we have N64 VC yet? If we get it someday, I'm at least hoping that we won't have to wait for the release of every game that was already on the Wii VC before we get to stuff we never got, like DK64 and Mario Party 3. Nintendo all of a suden remembered the VC so happy, vant wait for N64 games !! VC on Wii U = amazing classics and quality... VC on 3DS = just the worst stuff you never even wanted to know existed in the first place. Does Donkey Kong Land even exist in North America e shop? I'm glad NoA cares about our Virtual Console now. I'm pretty sure we're getting DS games before N64 games. DS games will be new to the service and Nintendo can still charge full price. If N64 games came out, many people would only pay like $2 just to upgrade from Wii mode. DS games also take advantage of the gamepad. 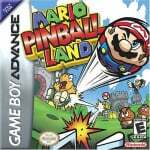 Well, I never had Mario Pinball Land, and I do like pinball... I think I'll look into it. give us donkey kong land 1-3,donkey kong country(gbc),pokemon pinball,kirby tilt-n-tumble,lufia the legend returns,harvest moon 3,and super mario bros. deluxe on the 3ds virtual console in the US/NA region. We will settle with donkey kong land 1-3 on 3ds virtual console with donkey kong country 1-3 on wii u virtual console just give us these and keep them on permanently and we will leave you alone. Yeah it weird keep the good games coming and DO NOT STOP. NOW GIVE US DONKEY KONG LAND 1-3 FOR THE 3DS VIRTUAL CONSOLE AND DONKEY KONG COUNTRY 1-3 FOR THE WII U VIRTUAL CONSOLE. Hmm, I may try these games out, but... I get the sinking feeling that we won't see the DKC games until 2015. I'd love to be proven wrong, though. No, Nintendo. The titles you want to release in the coming weeks feature words like "Donkey", "Kong", and "Country" in their titles. NOA always has to hold back something NOE and NOJ puts out. No idea why. I wish this was the real Super Mario pinball table by Gottlieb. Pinball Arcade, where are youuuu??? Another round of being unsure if I want DKC to ever come to NA. I want the whining to end but I also enjoy seeing the deserved suffering. I just want Zero Mission. Please? @Webby-sama Well that's not very nice. They didn't care about the VC before? So the games in the previous months didn't count? metroid zero mission is coming next year same with megaman battle network 3 white and 3 blue like 2nd quarter or first quarter if i recall. also. who in the world would pick a mario game over mighty final fight?